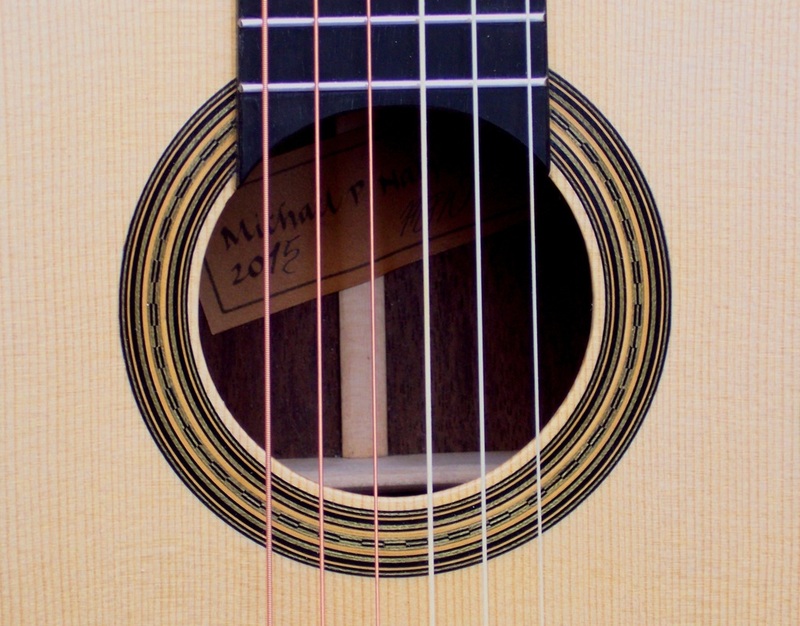 Please note: I no longer use tropical woods hardwoods for the back/side material of my guitars. It should also be noted that Torres himself was not averse to employing woods such as cypress, maple and walnut. Being a maker of early historical instruments I have a great deal of experience in using these temperate wood types. 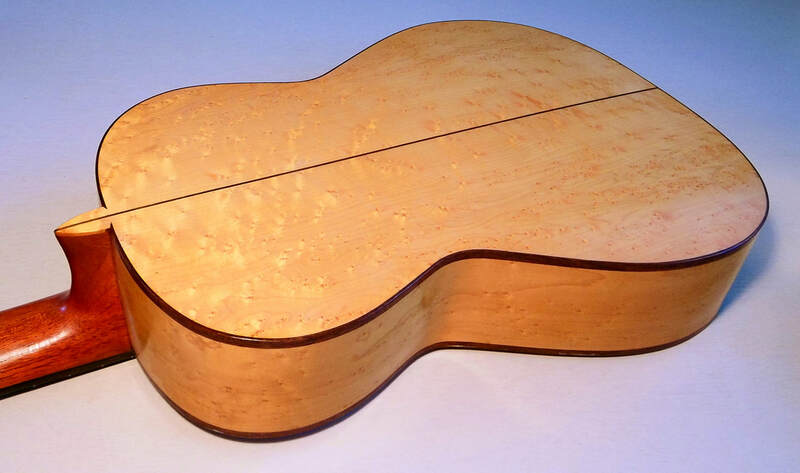 Please see HERE for some details on this beautifully proportioned small Torres Guitar. Torres 5 fan bracing pattern. Nut width: 48 or 50 mm's. 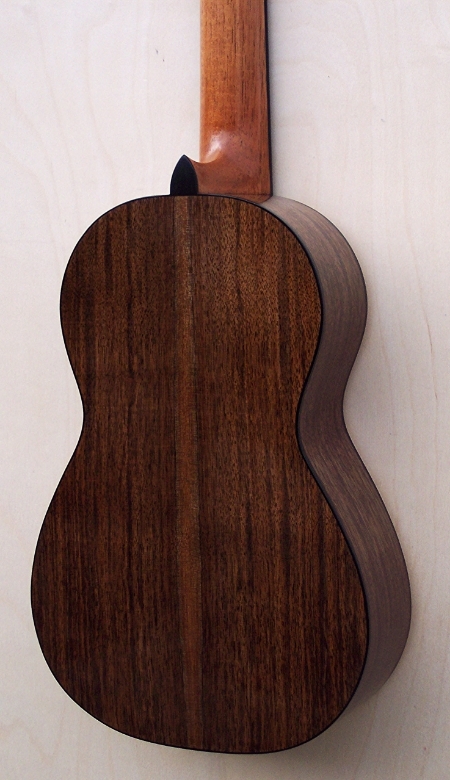 Back/Sides: available in walnut or figured maple. Price: £2,950 - case/shipping extra. Custom fit Kingham/MTM - POA. 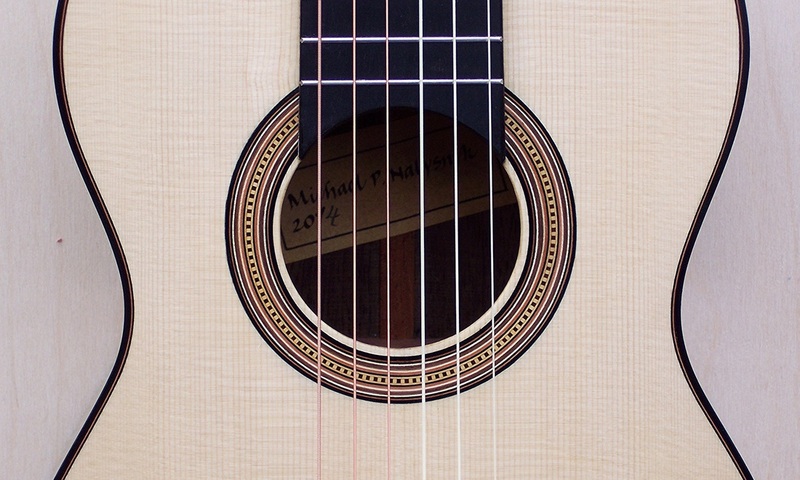 Small Torres - 630 mm string length. Torres head with geared pegs. 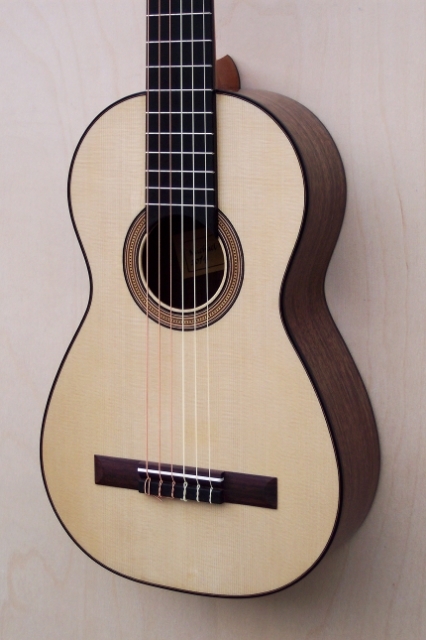 A 'modern' classical fan strutted guitar based on Torres 1868 FE 28. 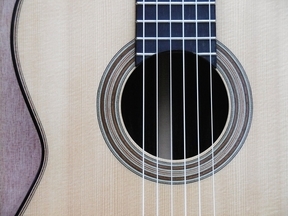 FE 28 is the Torres guitar that Julian Arcas played. A little smaller than the very largest Torres model yet it still ensures a full and deep bass response that is comparable to the slightly larger concert guitars. 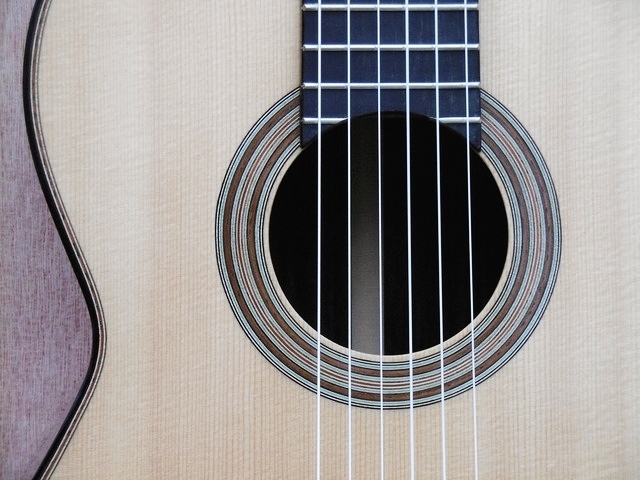 It features the typical domed soundboard, 7 fan strut pattern and the very light construction that is typical of Torres instruments. 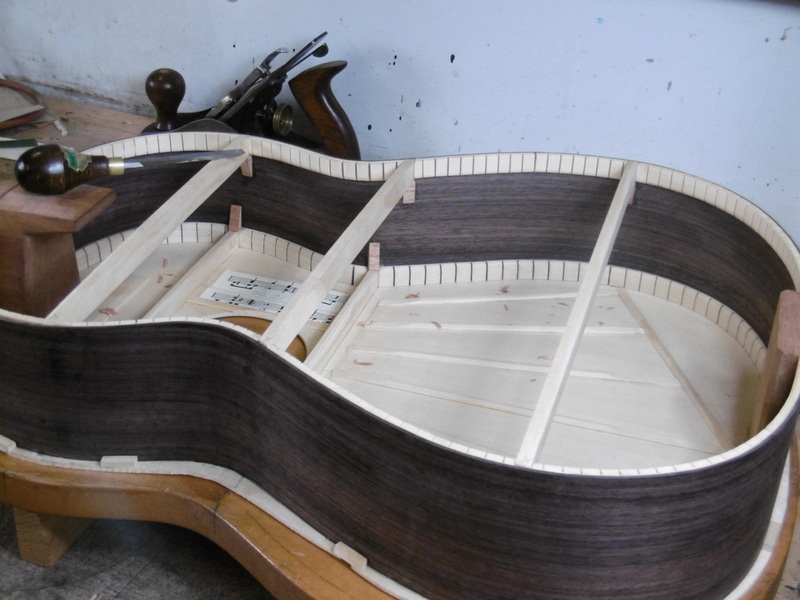 Construction faithful to the Torres method: Spanish heel, continuous kerfed linings, Torres fan bracing and harmonic bars. 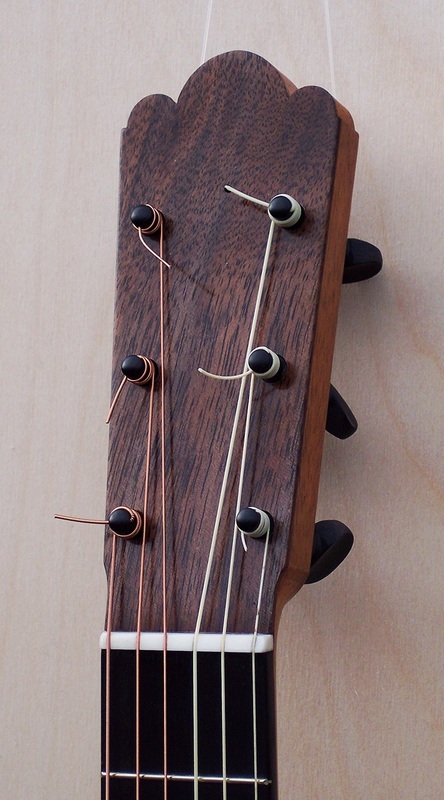 Neck: cedrela or African mahogany. £3,450 - with planetary geared pegs. Case/shipping extra. Cases: Custom fit hard case add £112. Torres construction method. 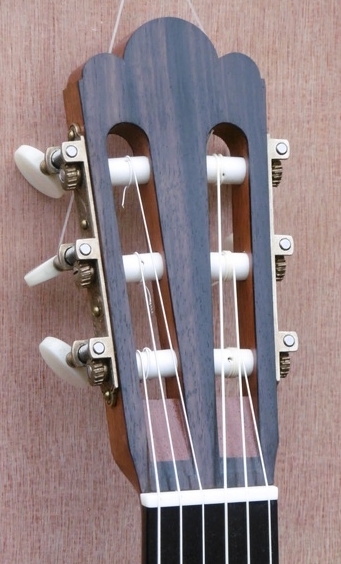 The fan bracing, his use of continuous kerfed linings and the technique for gluing the harmonic back bars.